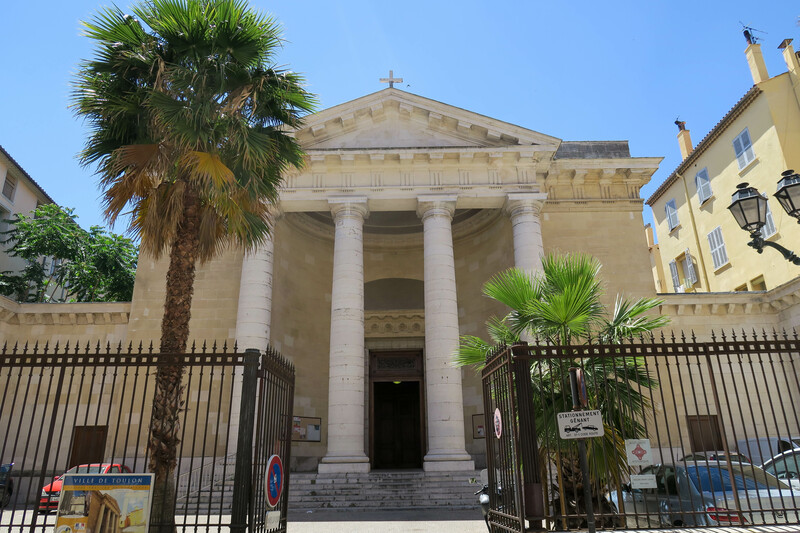 There are several churches in Toulon but I visited two of them when I was there. 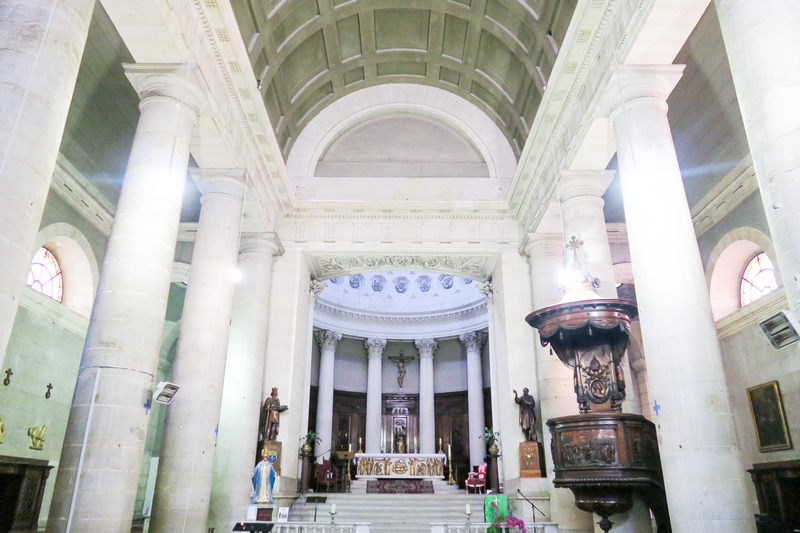 I went to Cathedrale Notre-Dame-De-La-Seds de Toulon and Eglise Saint Louis. Both of these are situated in the centre of the old part of Toulon and both are very different in size and decorations. 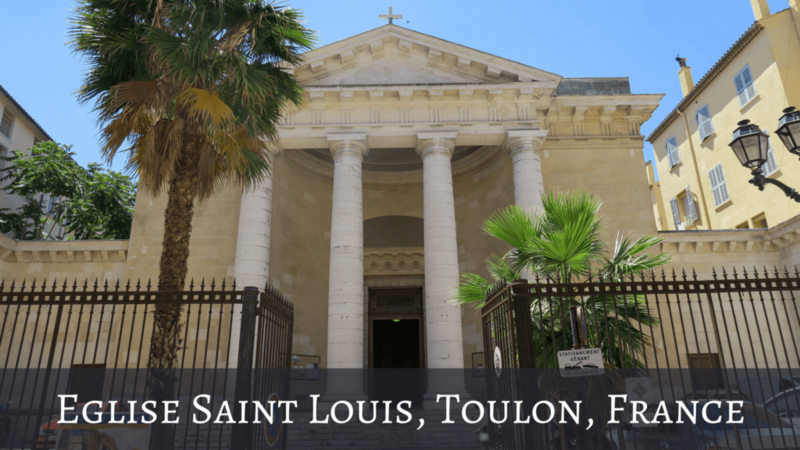 The second one that I visited was the Eglise Saint Louis de Toulon, which I kind of stumbled upon. I hadn't planned on visiting it like the other one but as I was wandering around the small streets, I found myself in front of it. It's a beautiful white building from the outside and has a very different feel to it. The outside was white with 4 large pillars at the entrance and the inside was very plain and minimalist in comparison to the Cathedral. Whilst I was there, I was the only person visiting the Eglise and someone was up on the huge organ playing spooky music. It was a weird feeling being alone in this Eglise, walking up and down to creepy music.. I felt a bit like I was in a horror film! If I was to compare the two, I think I preferred the Toulon Cathedral from both the outside and the inside. 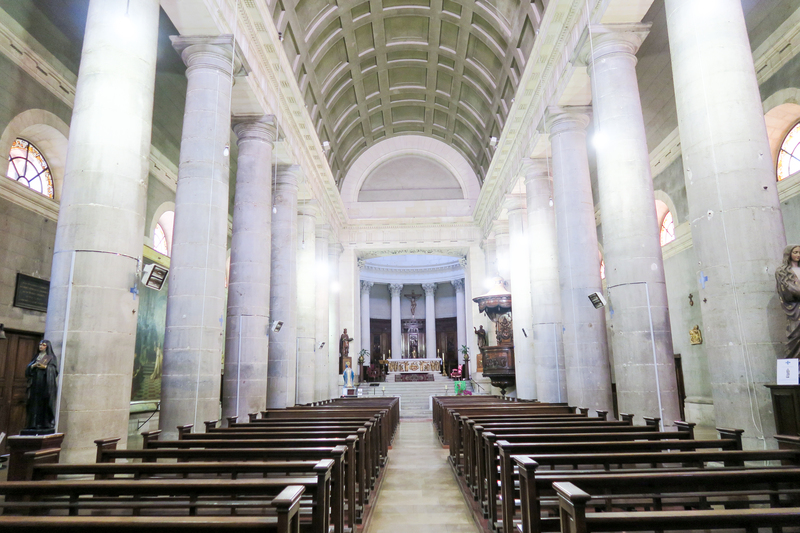 Both were lovely and very different, but I feel like the Toulon Cathedral had more history and character. If you are ever in Toulon, be sure to visit both, then let me know which one you liked the most. 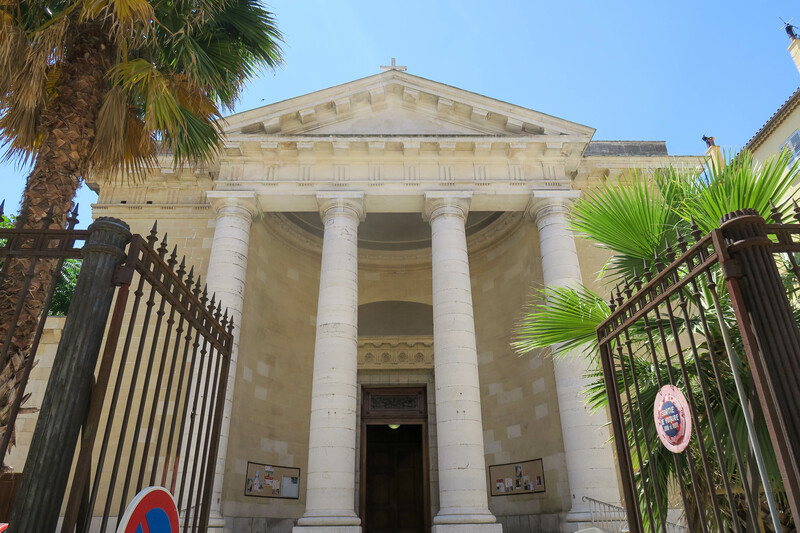 In this blog post I'm going to share my photographs and information found online about the Eglise Saint Louis de Toulon. There is already a blog post about the Cathedral. 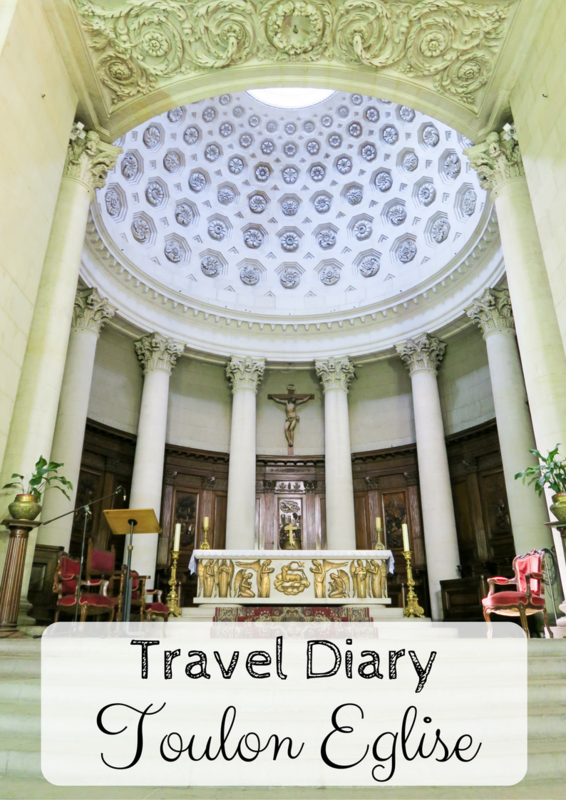 Book a stay in Toulon here..
History : "In 1705, Monseigneur de Chalucet, then bishop of Toulon, decided to build a new church to serve the western part of the city. In 1707, the bishop created a parish in the church of San Sebastián located at the corner of the streets Pierre Semard and Savonnieres. Eager to build a new church, he obtained from Louis XIV the concession of a part of the Place d'Armes and, in 1709, laid the first stone of the edifice. While construction is already well advanced, with walls reaching more than three meters high, work is interrupted in 1720, eight years after the death of Monsignor de Chalucet, due to an epidemic of plague that decimated 15,000 inhabitants, Half the city! The work did not resume until 1767, before being stopped again in 1776, when the church is practically finished. It was King Louis XVI, on the pretext that the church impeded the field of maneuver of the troops of the garrison on the Place d'Armes, which then ordered its demolition, which was effective in 1780. 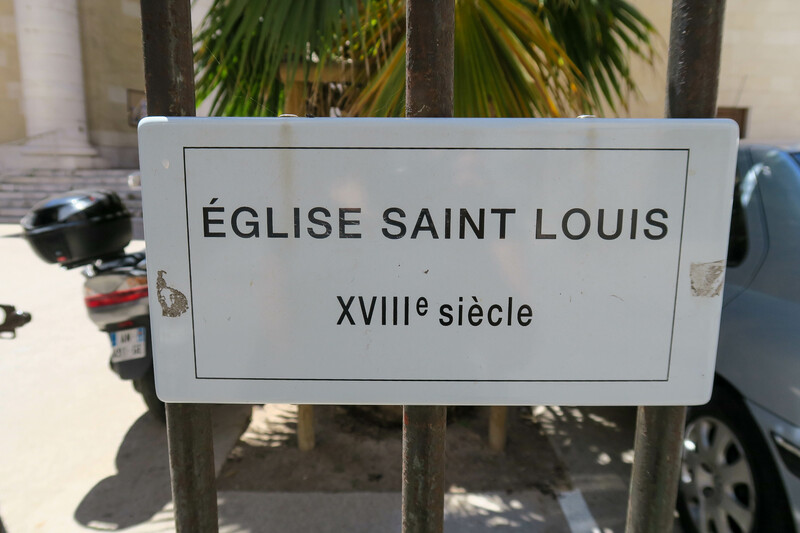 In return, following a request from the City Council - accompanied by a "bribe" of 300 bottles of champagne - the King granted new land for the construction of a new Saint-Louis church The place of the convent of the Capuchins. 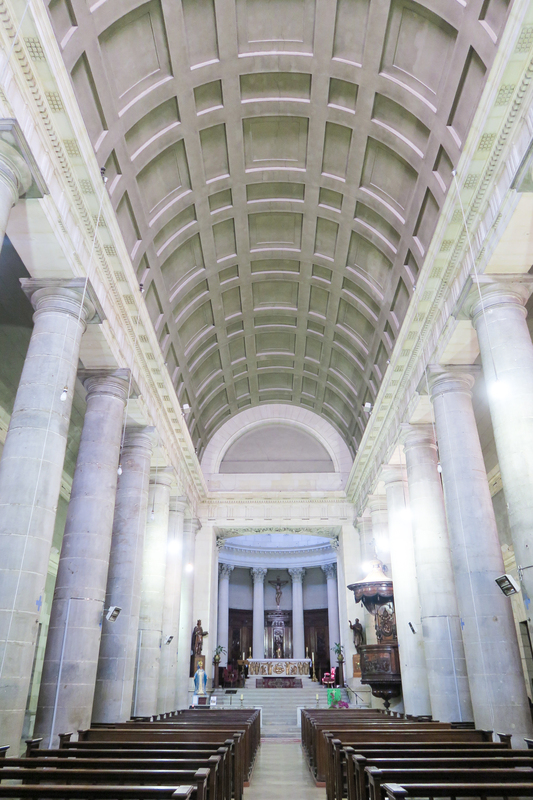 This new building was built by Sigaud from 1782 to 1788, but because of the French Revolution, it was first dedicated in 1794 to the cult of Reason and the supreme being, before serving as a repository of ammunition and Barracks until 1803, when the Emperor Napoleon I returned it to the catholic worship. The church was not consecrated much later, on 25 January 1858, by the Bishop of Frejus, Monsignor Jordany. 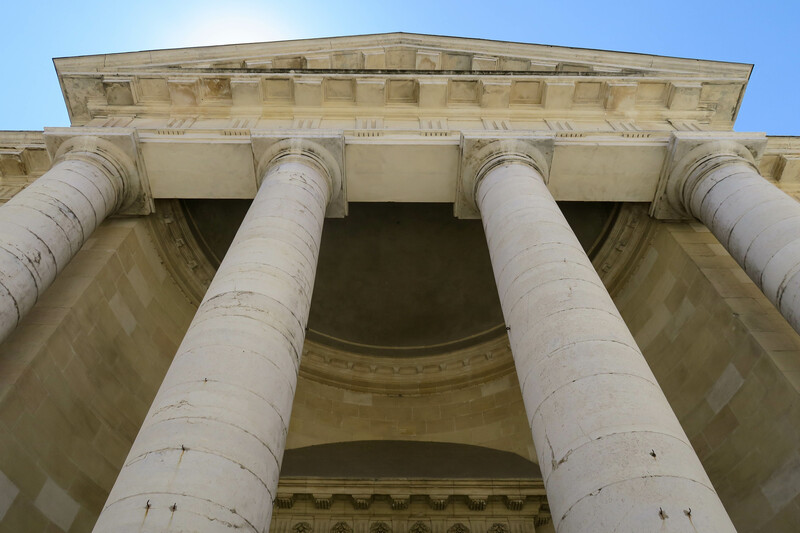 Restored after the war by Colas, it is a fine example of neo-classical architecture, in the form of a Greek temple. It has three naves separated by architraves resting on a double Doric colonnade. 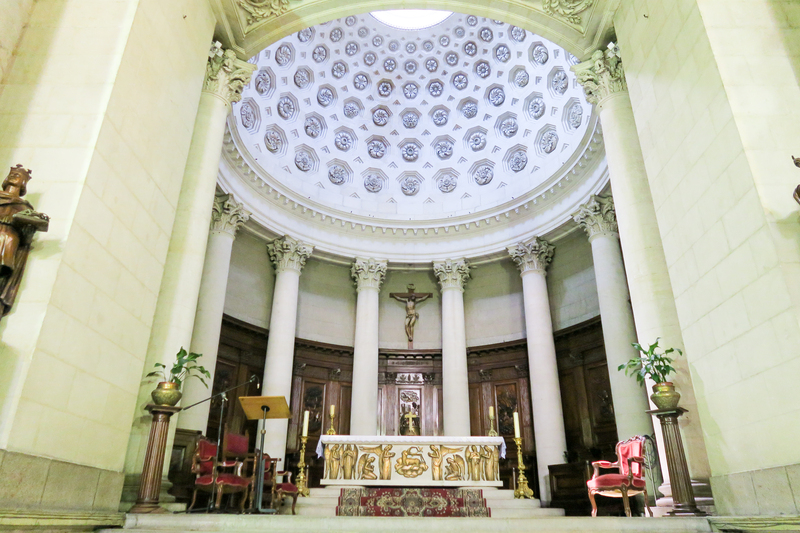 The choir, surrounded by ten Corinthian columns, is surmounted by a remarkable dome with lanterns. 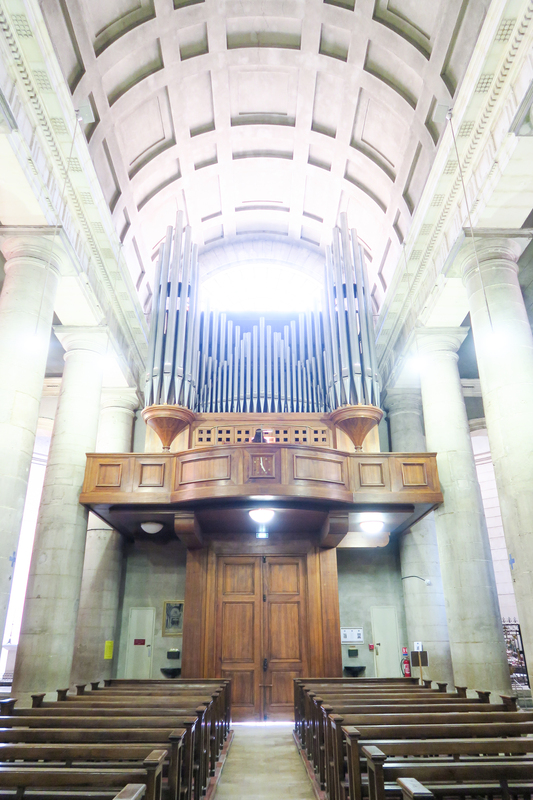 The building has been classified as a historic monument since 1945." - Info found on Wikipedia.